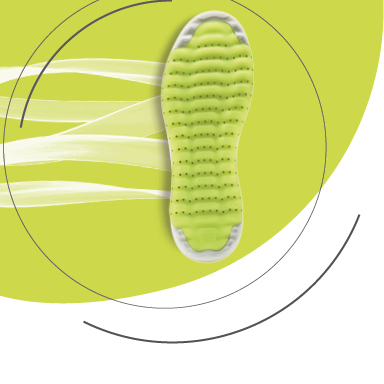 The sole lies at the heart of Nexside with its Side Transpiration System – a piece of technology which provides superior levels of breathability and well-being because it features perforations on the sides as well. 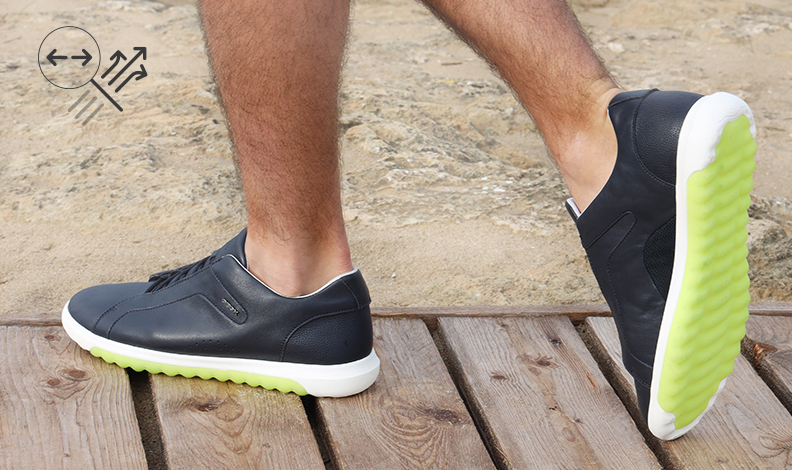 Breathability thanks to a sole with perforations on the sides too with a breathable waterproof membrane. 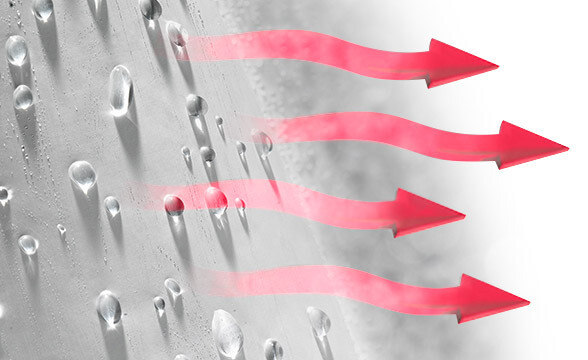 Thermo-regulation for supreme comfort whatever you are doing – and that includes intense activities. Ideal micro-climate which keeps your feet dry. Ideal cushioning thanks to the wavy tread, air chambers and insole with differentiated cushioning. 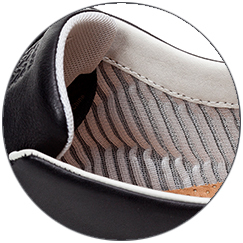 Air chambers formed between the midsole and tread and connected to the side holes as well, making for a constant exchange of air. 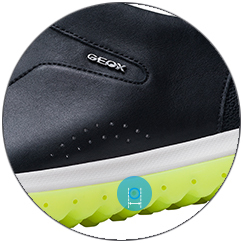 Geox has perforated the rubber soles of its shoes and inserted a special microporous membrane that absorbs and expels sweat without letting water in. 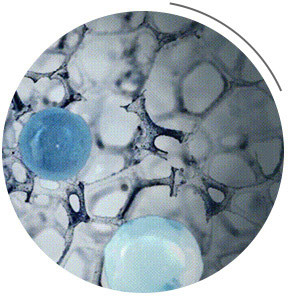 The membrane's micropores are smaller than water drops, but are larger than the water vapour molecules. 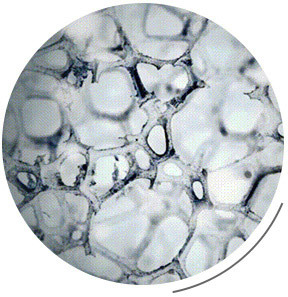 Sweat, in the form of water vapour, can pass through the membrane and out through the perforated sole. As demonstrated by computerized thermography, the foot wearing a shoe with a conventional rubber sole overheats much more (represented by the areas in red) than the foot wearing a Geox shoe.